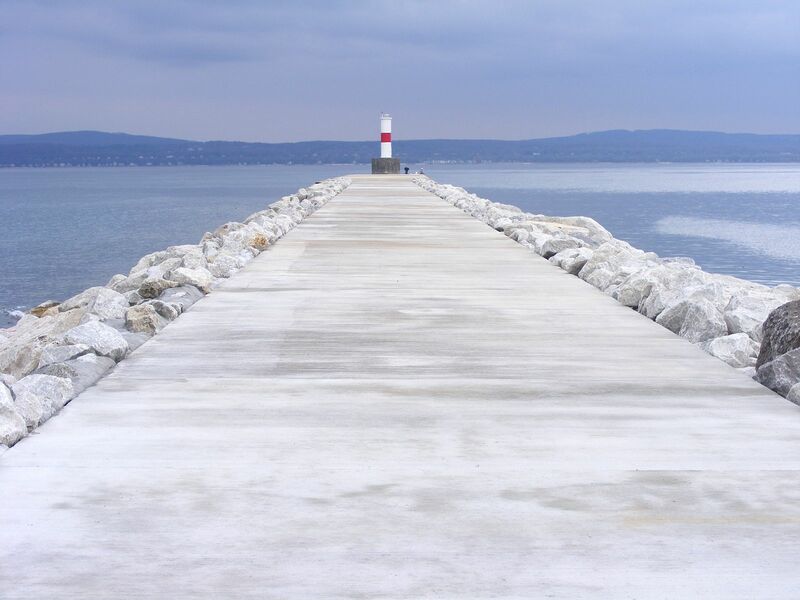 On March 14, 2006, a strong wind storm pounded the concrete breakwater protecting the City of Petoskey’s marina from the crashing waves of Little Traverse Bay. A 50’ long section of the breakwater gave way from the 40+ M.P.H. winds pushing the ice and water. 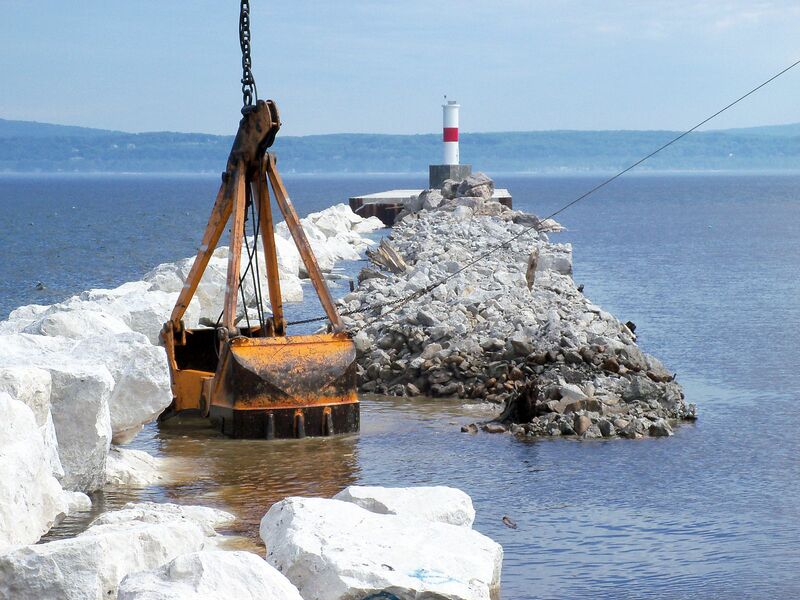 The US Army Corps of Engineers added large stone to the breached area as a temporary fix until funds could be secure to rebuild the 100 year old aging breakwater. IMS was contracted to repair sections B and C of the breakwater. Section B was where the breach occurred. 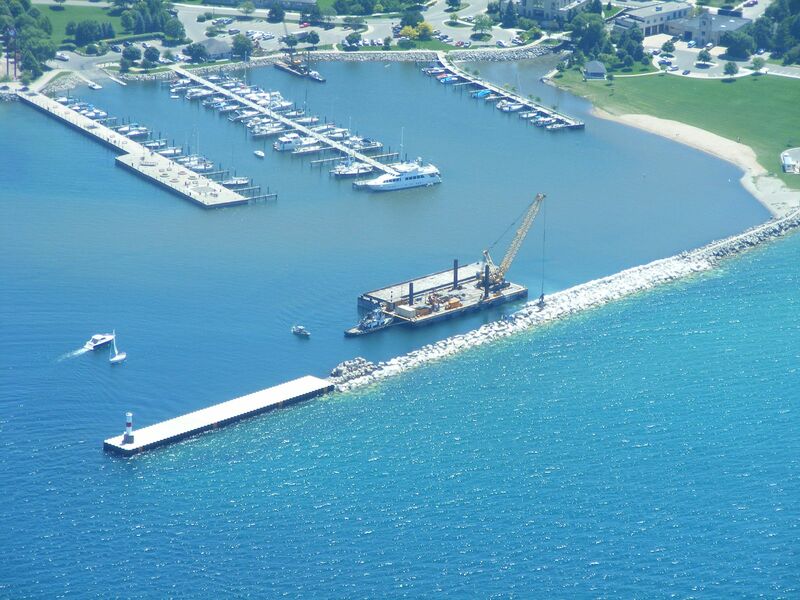 This consisted of 603 linear feet of concrete and stone breakwater to be removed and replaced with 36,000 tons of locally quarried stone and 610 cubic yards of steel reinforced concrete walkway. This project had material under runs and value engineering options which allowed for a significant cost savings to the US Army Corp which allowed Section D to be rebuilt also. Section D consisted of 355 linear feet of concrete walkway and 480 tons of additional stone. The work was completed using barges and cranes to transport and place stone. The stone was quarried in Cedarville, MI and loaded onto numerous barges and tugged from Cedarville to Petoskey. 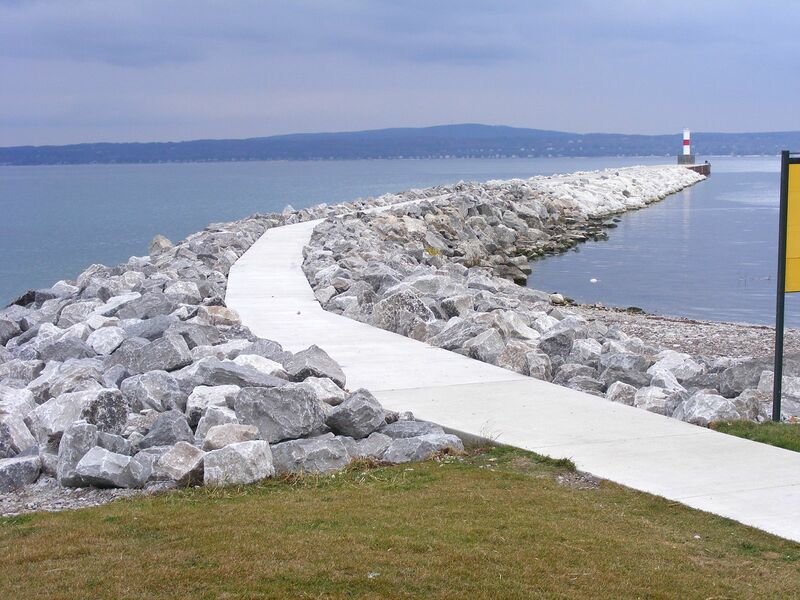 Once in Petoskey the 16 to 20 ton stones were strategically placed along the breakwater. 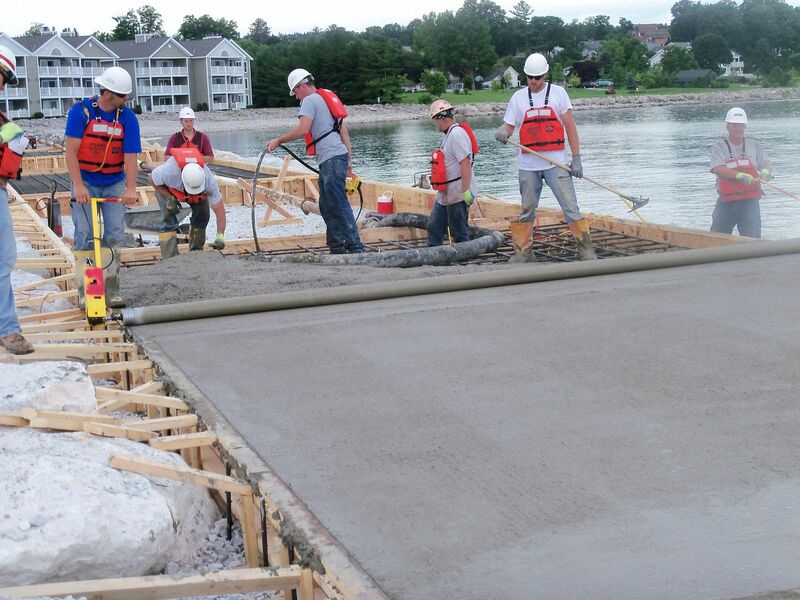 Once the stone work was completed, the concrete walkway could be formed and placed. The concrete had to be pumped 1300 feet from shore to reach the outer part of Section B. All work was completed without a safety incident or accident. During the construction of the project, much care had to be used because of the popularity of the structure with the local tourists. Barricading and monitoring took place to keep beach goers safe. Another challenge was the weather. When wind picks up, waves would crash over the top of the structure whisking away anything that is not securely fastened down.